Marsha Rish opened Honeymoon Bungalow 18 years ago after years of working a family antique stand. She put her own twist on the antique business. 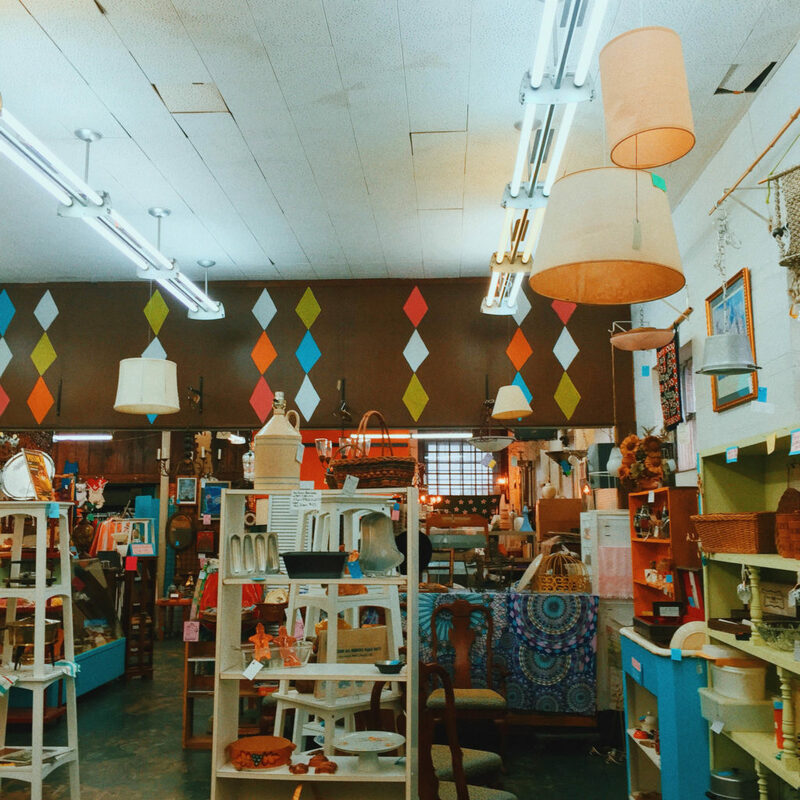 Many antique stores are organized by dealer, but Rish instead arranged her store into departments, with customers traveling through mock bedroom, kitchen and living room areas. 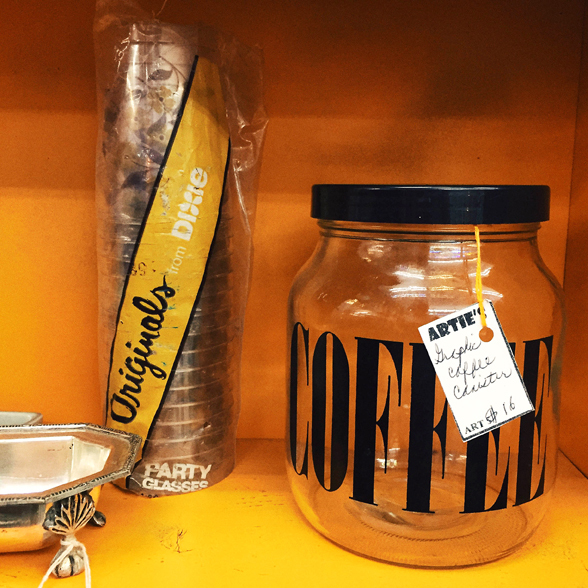 The Government Street store quickly became a local favorite for retro furnishings, kitchenware and eclectic finds. But as the years passed, Rish had to cut back on both the amount of store employees and goods for sale. In late September, she closed the Bungalow’s doors for good. 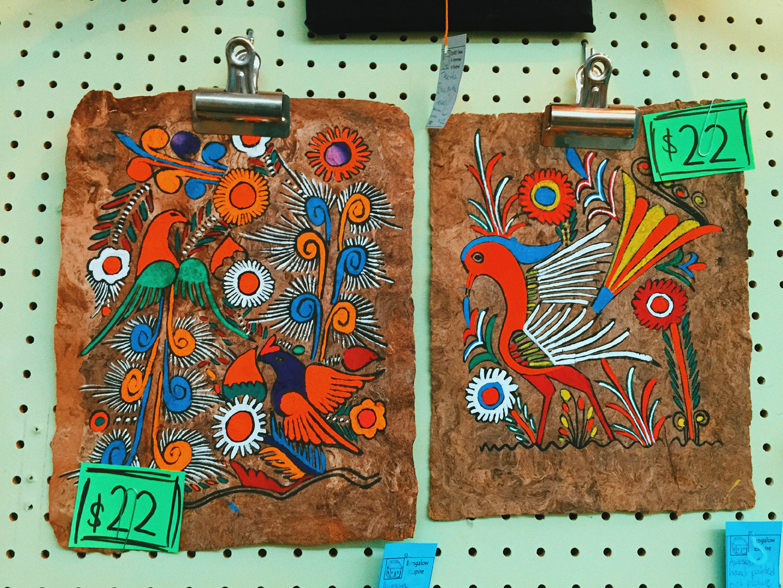 Now, she and her husband plan to rent a space inside of another store, where he can focus on his lamp repair business and she can continue her art and upcycling business. She also plans to rejuvenate her estate sale company, Atomic Estate Sales & Services. Long-time customers can continue to follow her move on the Bungalow’s Facebook page. What inspired you to open Honeymoon Bungalow? 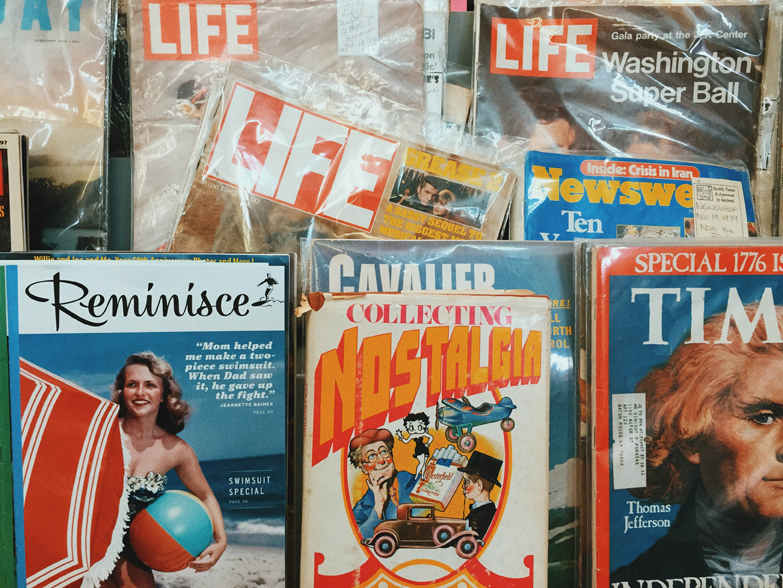 My husband and I both have been collectors since before we met each other, and I have always been attracted to old stuff. So, it just sort of fell together. 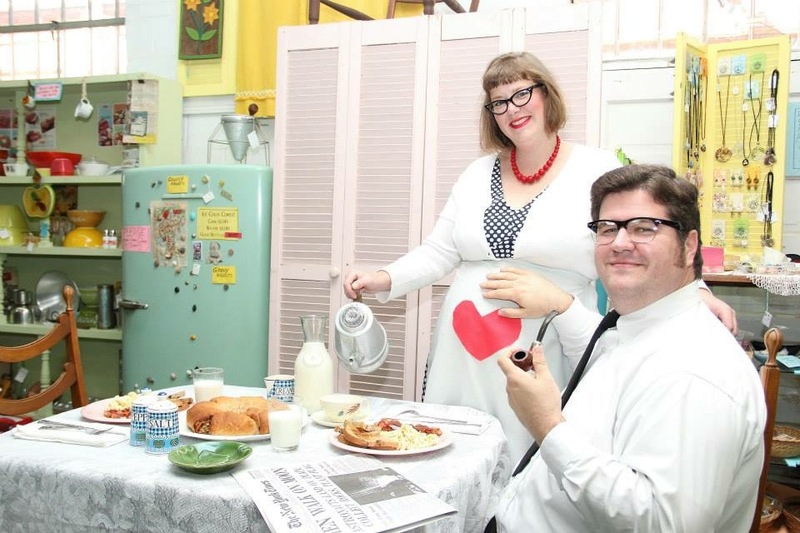 … We called it the Honeymoon Bungalow because people have always said my husband and I act like we’re still in our honeymoon. And the kinds of things that we collected and the kinds of things that are in the store, if you go into a home … especially this part of the country, you’re going to see new and old stuff. And so this is kind of like the things that a couple would gather in their lifetime together. So [the store] is a home, and that’s why we arranged it in departments. … This is why everyone was greeted when they came in the door and made comfortable and allowed to wander about, just like at home. And that was the whole point. You had antique dealers contributing to the store, but were there any items you brought in yourself? Ninety percent of what was in here was mine. How did you find items to sell? In the beginning, when I had a staff, I would go to auctions. I would go to thrift stores; I would go sometimes to estate sales, sometimes to garage sales. But most of the time, people brought stuff to us to buy. What styles did you look for when getting items in the store? It’s just like fashion; it’s just like food; it’s just like everything. Everything has trends. Everything has what’s hot and what’s not. And so, what we did was we listened to our customers. We watched what they were buying. We watched what they were avoiding. … I discovered real fast that pretty doesn’t sell well in here. People could care less about pretty and fancy, they wanted funky. They wanted fun. Is there one department or item or era that you gravitate more toward? I don’t get hung up on something specific. I’ve always seen the beauty in different things. 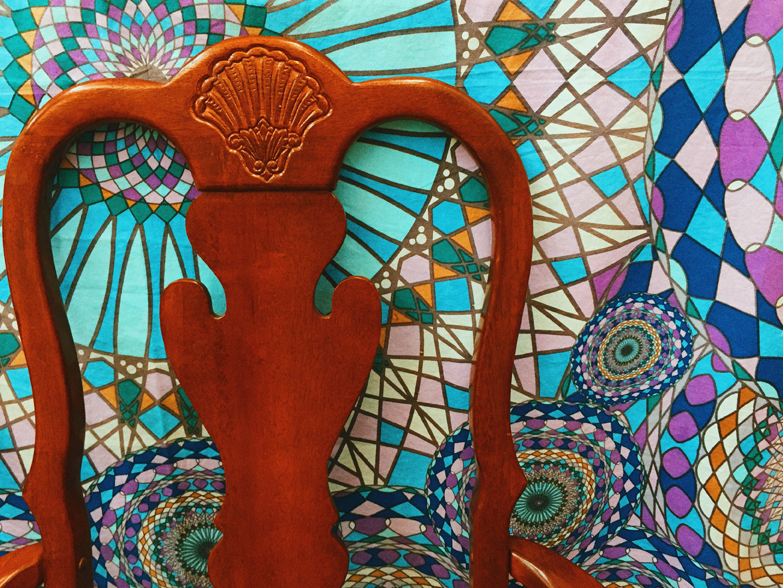 I do gravitate toward arts and crafts … I love deco, empire which is like 1820s. I kind of like some fufu fancy stuff, but I don’t like sweet stuff … I like things that are a little edgy. A little weird. Is there anything you’re looking forward to now that the store has closed? I’m looking forward to resting … and then, I’m just looking really, really forward to starting to work on my artwork. Honeymoon Bungalow was such an important part of Circe and Jeremy Bridges’ lives that Jeremy proposed to Circe there. Circe discovered Honeymoon Bungalow in college. When she started dating Jeremy Bridges, the two would visit the store almost every week together. It became their place. After Jeremy proposed to Circe there, they even had all of their engagement and maternity photos for both their daughters taken there. “They’ve been with us for our big milestones,” Circe says. 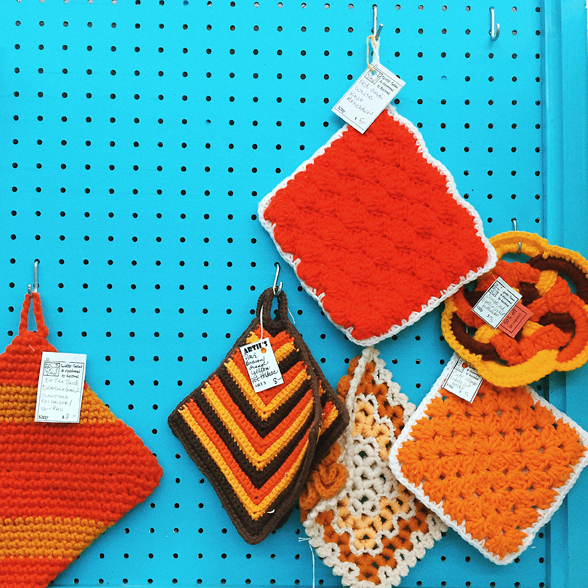 When the couple bought their first home, the store’s bright colors and pieces from various decades were major influences on their interior decorating process. Almost every shelf has an item purchased from the local antique store, Circe says. “The Bungalow really served as an inspiration to try to create the kind of home that really reflected our personalities,” Jeremy says. 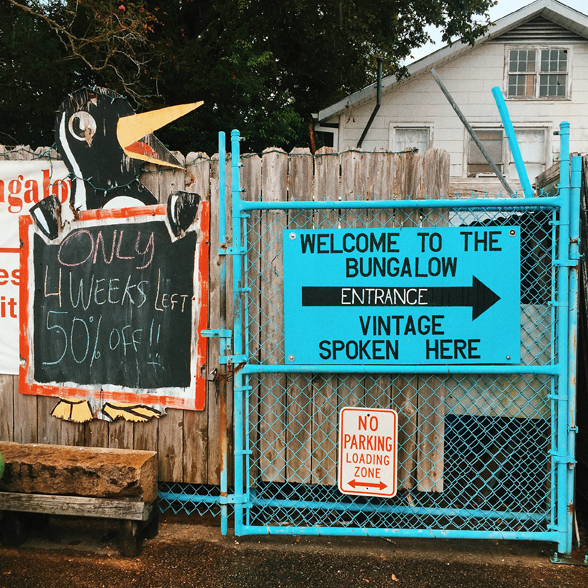 With the Bungalow closing its doors, the couple feels an emptiness for losing such a big piece of her family’s life. “I was really looking forward to taking our girls there growing up,” Jeremy says. The couple plans to keep in touch with Rish and her husband. Jeremy says the store owners have never seen his and his wife’s home, but now is the perfect opportunity to show them what their store inspired. Penguin sign: This is an original to Honeymoon Bungalow, dating back to opening day, Rish says. Party cups: Rish loves how these are still in their original packaging. 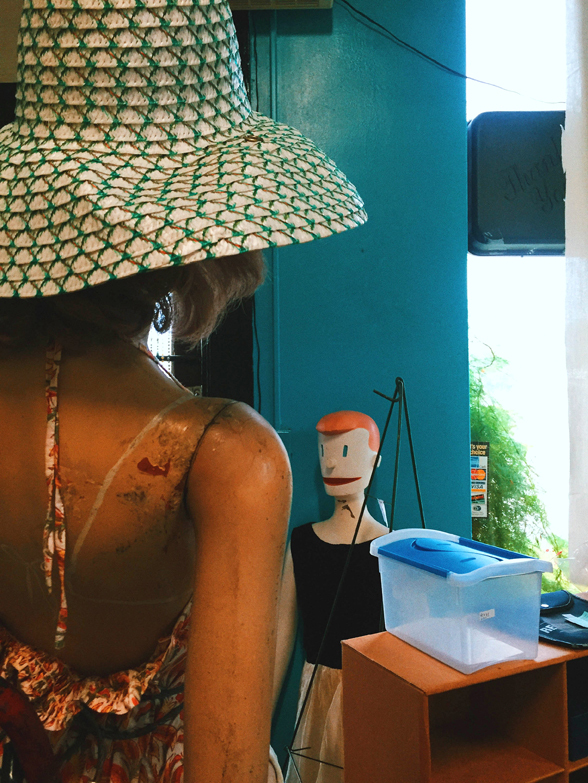 Store mannequins: Red (pictured in front) and Wilma (back) were staples at the Bungalow, Rish says. 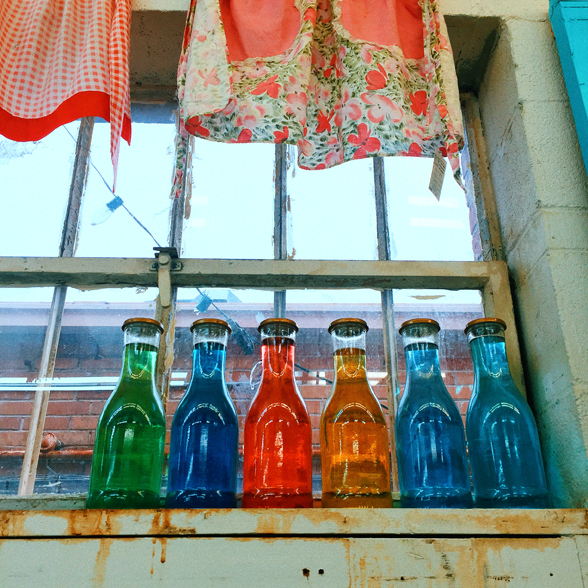 Glass bottles: Rish was inspired by her grandmother, who used to take old liqueur bottles and fill them with colored water, just like the ones displayed here in the windowsill of the Bungalow. This article was originally published in the November 2016 issue of 225 magazine.